This article is about the American Legion hosting Bingo for veterans #278Z at James A. Lovell Health Care Center, Naval Station Great Lakes. This article is written by artist and United States Navy Veteran, Stephen F. Condren, BFA-SAIC,of Condren Galleries. Congratulations American Legion and Veterans! Because the American Legion is an organization dedicated to United States Veterans, it has made arrangements with it’s local chapter posts to serve food and refreshments to patients at Lovell Health Care Center. 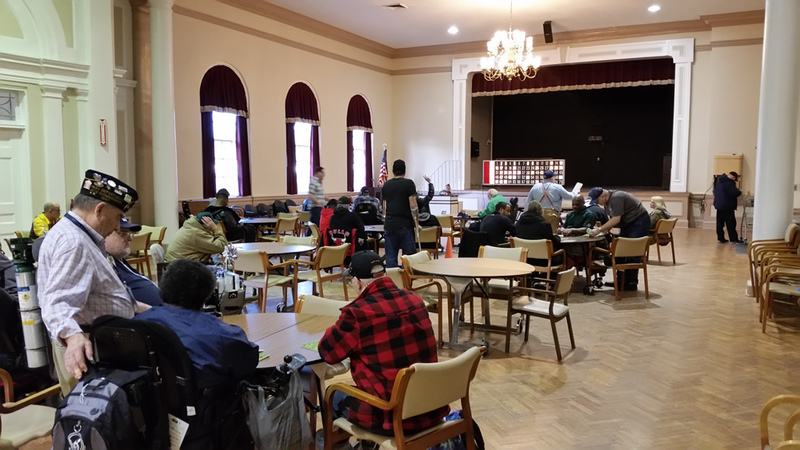 Most importantly, the bingo event was held in Bourque Hall at the Captain James A. Lovell Federal Health Care Center, Naval Station Great Lakes, Illinois. Because Great Lakes is located in Lake County, the American Legion was there. The health care center was named in honor of Apollo 13 astronaut James A. Lovell. 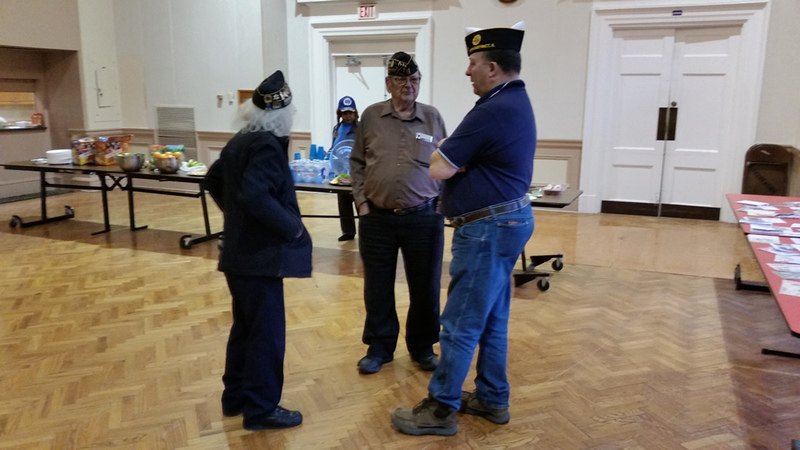 Three members of the Grayslake Post 659 were there to offer service. The Grayslake Post is conveniently located to Naval Station Great Lakes. It was both an honor and a comfort to see the dedicated veterans from American Legion posts gathered together to help veteran soldiers in need of care. As a member of Grayslake American Legion Post 659, I was proud to be at this event. I was given money to hand out to each of the winners of binger. After about 45 minutes there was a break and all of the American Legion members stood at the concession table serving food and beverages to the veterans. After about 25 minutes, the bingo game resumed and the prize money went up from $2 to $5. Everyone, however, was a winner! Because I was able to assist those in need, I felt like the greatest winner. God bless America! 1, American Legion Officers hosting Bing at Lovell Health Care Center. 2, American Legion Officers hosting Bing at Lovell Health Care Center. Condren Galleries is pleased to have been to participated in bingo for veterans #278Z. As an artist I observe and study the figures and the space bingo for the composition of future artwork. Whenever I walk into a space I am immediately aware of the perspective of the room and the elements in that space. For example, if you look at the hall in the photos above you can see the images of the people receding in scale to their size as you go from the lens back to the stage. Bourque Hall is located in Building #4 on the naval base and is close to the center core of buildings that comprise the James A. Lovell Health Care Center. The interior architecture of the room is Colonial and in the front is a nice size stage for performing ceremonies and giving announcements. The hall is rectangular in shape and offers ample room for large gatherings. There is a small kitchen and service booth in the rear of the room. 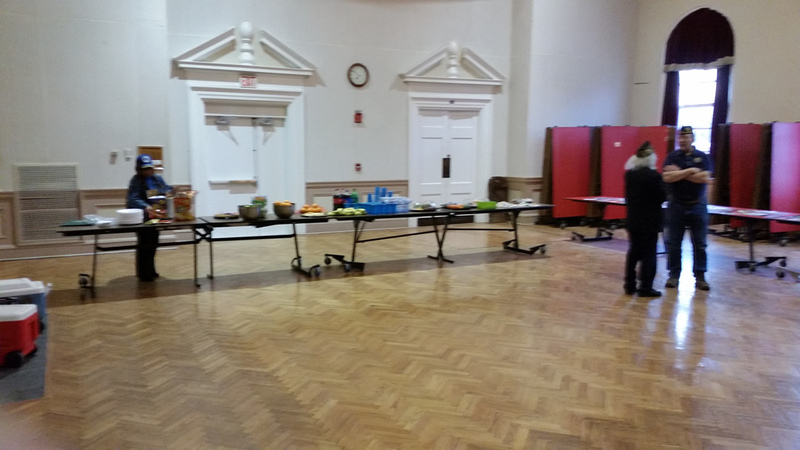 For the most part we post members served the food and drinks and then we cleared the tables. Other American Legion members went back out to the veterans and finished handing out the cash prices to the winners. Bingo for veterans #278Z by American Legion at Great Lakes Naval Command, Condren Galleries.